The WASP (Workshop and Storage Platform) is a separate building next to the station, half of which contains the work spaces with tools and materials for the Tech Services Team, and the other half is used as the Field Store by the Halley Field Guide. The wind is very high again today, with average wind speeds reaching 40 knots and gusts over 45 knots. 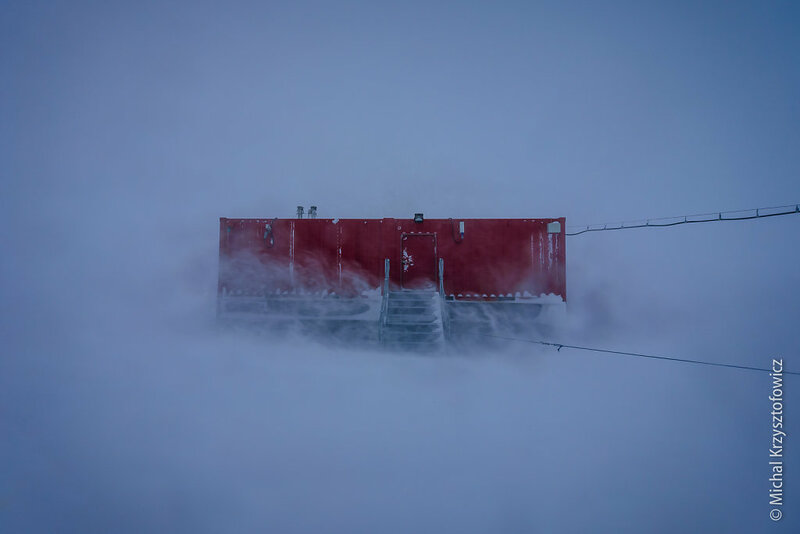 As it has been blowing for more than a day now, the outside temperature climbed up to about -11°C.